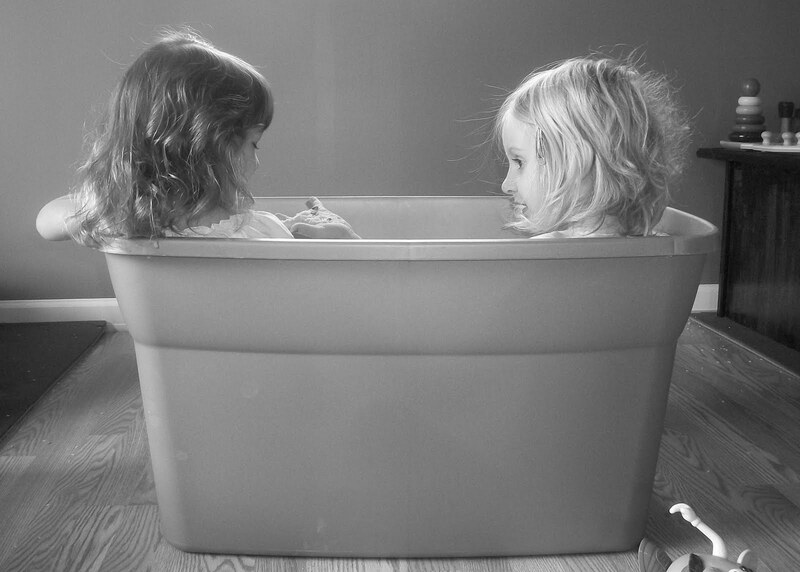 Cate and Ethne had a fun time playing in this “rice box,” which is what Cate called it when she was talking about it tonight. 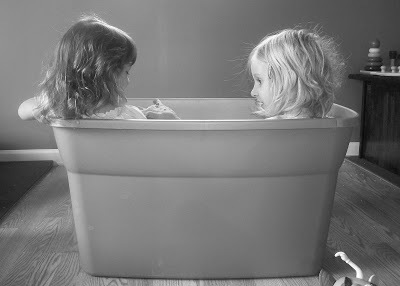 “Remember I played with Ethne in rice box?” Yes, we remember. And Angela even took this darling picture that I made black and white so we can remember for a long time. Oh, what’s a rice box? It’s a box of rice, noodles and beans that Elijah once used for therapy but now works well as an indoor sandbox type toy. Those two girls were in there for at least an hour. As you can see, they barely fit in there side by side.